Over half of Brits (55.5%) admit that certain elements of the job hunt scare them, with one in three (30%) stating that they wouldn’t apply for a job that required them to face their fears. That’s according to brand new research this Halloween, from the UK’s leading independent job site, CV-Library. The survey of 1,200 UK employees asked professionals about the areas of the job hunt that left them feeling spooked, as well as the impact this had on their job search. It found that one in 10 (9.4%) have even avoided going to an interview because they were too scared. Lee Biggins, founder and managing director of CV-Library comments on the findings: “Job hunting can certainly be nerve wracking, but you shouldn’t let any of your fears stop you from reaching your ideal role. It’s important that you combat these fears in order to progress in your career, so consider ways in which you can polish up your job hunting skills and make the process less harrowing. The research further highlighted an age gap between different generation’s worries. While 61.4% of under 18’s, and 62.5% of those aged 18-24 said job hunting scared them, only 44.4% of those aged 44-64 admitted any fears. 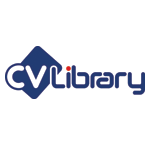 If you’re looking for help with how to write a CV, job interview tips or even a complete guide to writing a cover letter – check out the CV-Library career advice blog.